You'll rock the boat with Alpine's SWR-M100 marine subwoofer — it delivers classic Alpine punch for resonant bass you can hear and feel. A molded polypropylene cone with a Santoprene™ rubber surround provides reliable performance, and you can feed it up to 300 watts RMS from your marine amplifier. The SWR-M100's airflow management system and CRC motor keep it running cool, even in the summer heat. The SWR-M100 works well in free-air applications — it doesn't need an enclosure to deliver great bass. The high-excursion design gives you high performance, no matter where it's installed. 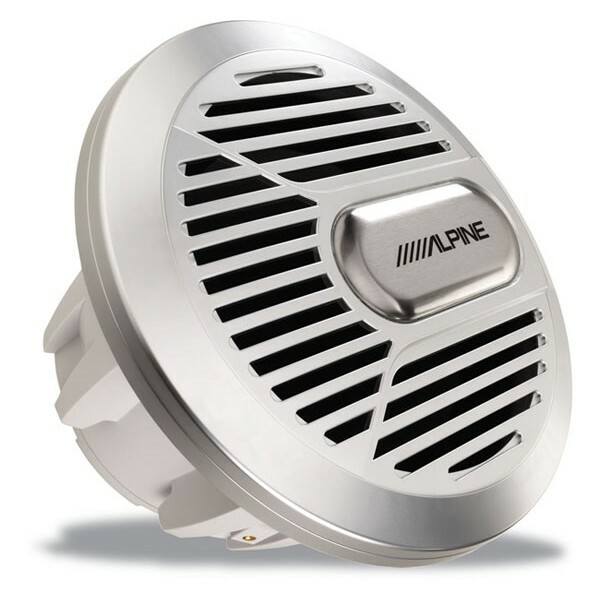 Alpine engineered this subwoofer to stand up to heat and humidity, so you'll enjoy great bass, season after season.